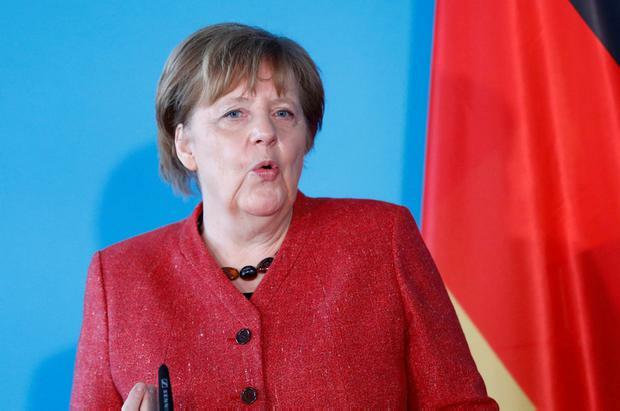 German Chancellor Angela Merkel is to be given a lesson in Irish history as part of the Taoiseach's bid to get her on side ahead of a potentially disastrous Brexit outcome. Leo Varadkar is to lean heavily on stories of the Border region, while trying to convince Ms Merkel that a hard Border cannot be erected under any circumstances. Sources said the aim is to help her understand Ireland's refusal to plan for Border checks in the event that the UK crashes out of the EU. Ms Merkel was quoted as saying she will fight until the very end for an orderly Brexit and use her Irish trip to consider the Border situation and solutions that could prevent a hard Brexit. She is also expected to give a public indication of whether Germany will back the UK's application for a short Brexit extension. British Prime Minister Theresa May met with Labour Party leader Jeremy Corbyn yesterday to start work on a possible compromise that could break the impasse in Westminster. But Mr Varadkar said it is unclear whether Mr Corbyn "will rise to the occasion" and help end the deadlock. There are now conflicting messages from Dublin and Brussels on the likelihood of a UK crash-out on April 12. Tánaiste Simon Coveney said a disorderly Brexit next week is "very unlikely" but European Commission President Jean-Claude Juncker said it is "now a very likely scenario". Mr Juncker told MEPs that April 12 is the "ultimate deadline" for the House of Commons to approve the Withdrawal Agreement, including the Irish backstop. "If it has not done so by then, no further short extension will be possible. After 12 April, we risk jeopardising the European parliament elections, and so threaten the functioning of the European Union," he said. Amid growing frustration that Brexit is dominating the EU agenda, Austria's Chancellor Sebastian Kurz said he sees "absolutely no reason" for another extension. The downbeat mood makes Mr Varadkar's meeting with the influential German leader all the more significant. He said that an extension could not "be merely a licence for further indecision". "We need a clear plan. An extension in this context is one thing, but a rolling extension that just leads to further indecision, further majorities against things but for nothing, is not a solution for anyone." After a broadly successful meeting with French President Emmanuel Macron on Tuesday, the Taoiseach will be hoping Ms Merkel will send a message to EU colleagues by playing down the possibility of checks at the Irish Border in a no-deal scenario. She has previously urged EU officials to expedite work on how to secure the EU's single market if a disorderly Brexit occurs. Irish Government sources insisted her decision to travel to Dublin is a "very positive" development. "Chancellor Merkel has a particular interest in the Border. She is keen to learn the history," the source said. While the Chancellor will not visit the Border area, it is understood people with direct experience will explain how the removal of checkpoints has changed their lives. Mr Varadkar said European leaders are asking "reasonable questions" about what happens in a no-deal scenario but denied there is "a big stick or Ireland being put under undue pressure". 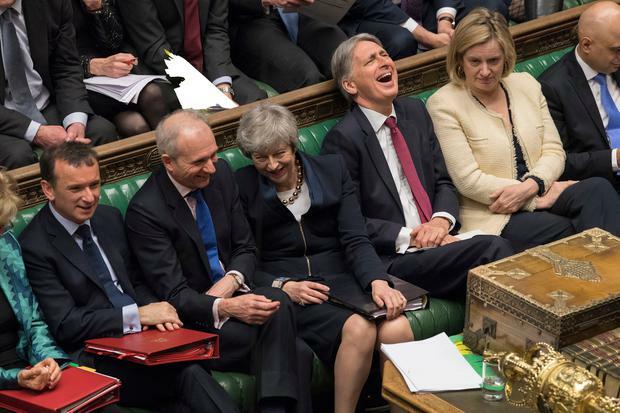 "If there is a no-deal Brexit, whatever issues arise will be seen as shared problems." The Taoiseach said the Government understands checks on livestock will have to take place in order to protect the single market. "It is our view that those checks should take place at ports and that the island of Ireland should be treated as a whole when it comes to sanitary and phytosanitary standards, SPS."